A homeowner in Lindley, Huddersfield, contacted Holmfirth-based Clearview, their local supplier of aluminium windows and doors, to manufacture, deliver and install a large 3-frame bi-folding aluminium doorset for the property. The homeowner had recently removed some French patio windows and expanded the surrounding frame in preparation for the bi-folding doors which would let more light into the property. The bi-folding doors would also provide a 90% clear opening; giving complete access to the garden and patio outside, compared to the previous patio doors which typically only provide around a 40% opening. The bi-folding aluminium doors selected by the homeowner were the Blyweert Beaufort Advance Plus with all-round frame and high efficiency 4mm toughened outer glazing with 20mm argon filled cavity, and 4mm low-e inner. When closed, the doors will be extremely energy efficient reducing the amount of heat lost through standard windows and patio doors. 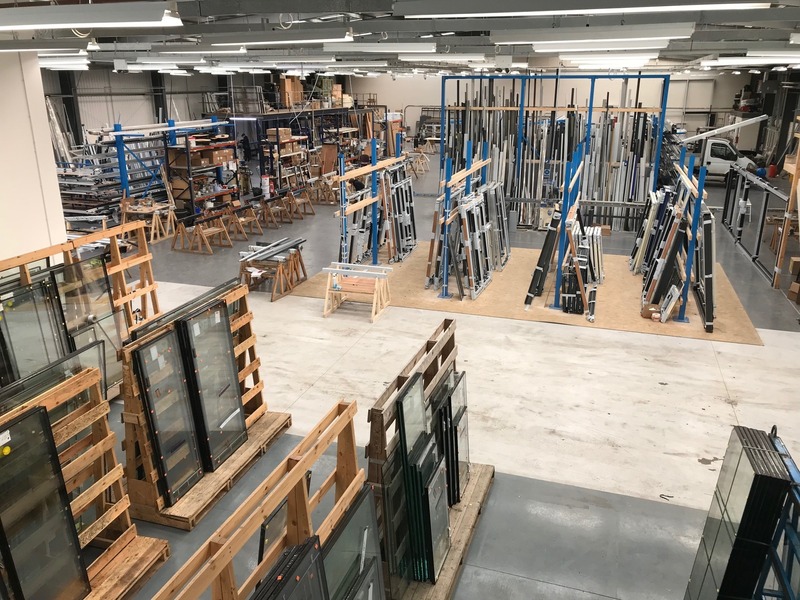 At Clearview, the aluminium materials we use are strong, light-weight and versatile, which is why we are able to offer a 10 year guarantee with all our folding door systems.